Switzerland is one of those travel destinations that people often dream about, but never visit because it is just too expensive. And having lived here for over 15 years, I must say I can’t blame people. It has one of the highest costs of living in Europe and the world, and of course, the cost to travel to Switzerland is higher too. However, there are still lots of ways to travel in Switzerland on a budget or without breaking the bank. 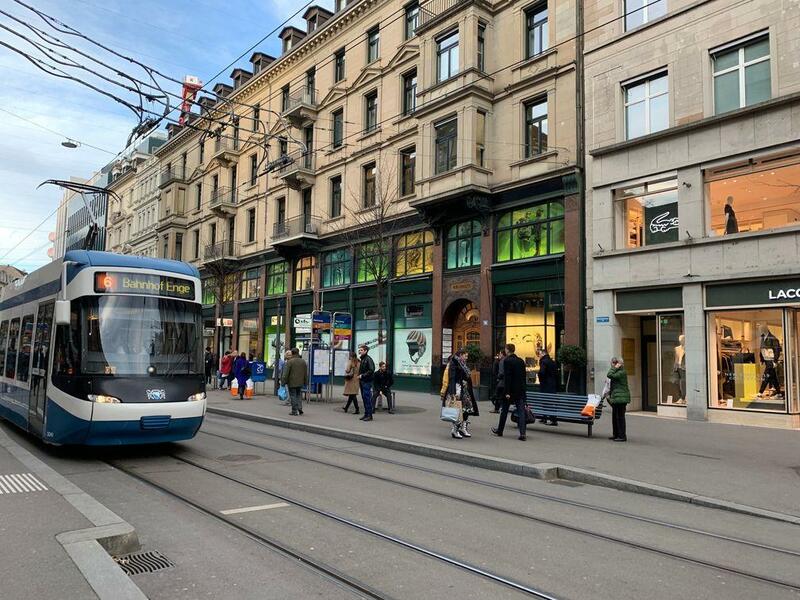 In this post, I am not only going to tell you the prices of accommodation, attractions, and transportation but how to how to save money in Switzerland. From saving on those ever-punctual Swiss trains to finding the best located and cheapest places to stay in Switzerland. If you ever wanted to visit the Alpine Jewels but were not sure about how much does it cost to travel to Switzerland, or how to afford it, this is the guide for you. How much is the cost of transportation in Switzerland? In this chapter I will break down average transportation costs in Switzerland into sections, so you can see what options you have and some approximate prices. Switzerland is not the cheapest destination in Europe, so it is perhaps no surprise that there are not as many options as say…Spain. Companies like RyanAir and EasyJet do fly here, but often they only land in the further flung airports like Basel, instead of Zurich. Or at least, they have more flights there than to the main hubs. There are also cheaper airlines that fly here, depending on where you are coming from. For example, in Germany, there is the local budget airline Eurowings that might help to keep your Switzerland trip costs down. 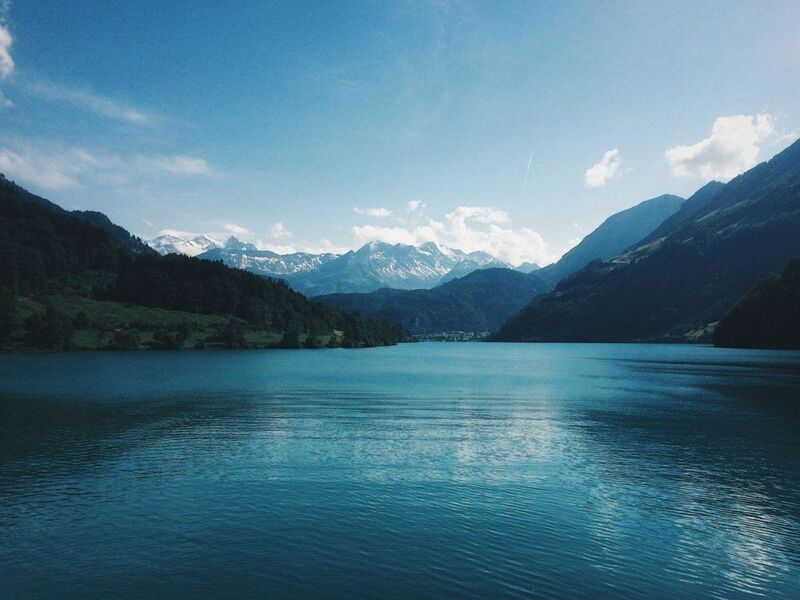 Find and book the cheapest flights to Switzerland here! In terms of exact cost to travel to Switzerland, I have found you can get around Europe for anywhere from $50-300 one way. However, the further you go, and the less choice you have, the more expensive it often is. This is where all the action is in Switzerland. Why? Because Switzerland has one of the best, most densely covered and efficient public transport systems in the world. And as a visitor to Switzerland, you should take advantage of this network. And when I say network, keep in mind that means train, bus, boat, and even some gondolas. The only challenge is, like with everything here, the prices. The best way to save money in Switzerland while using trains is to have what is called a Swiss Travel Pass. It comes in two main flavors: the standard, which gives you so many consecutive days travel (3, 4, 8 or 15) and the Swiss Travel Pass Flex. The second one I recommend to most people, especially if you stop off in a particular destination for a few days. The Swiss Travel Pass Flex gives you the same number of days, but you only use them when you need them, within one month. That way, you use the pass when you go long distances, and pay per ticket for local transport instead. There are other benefits to these passes as well that might help you keep your Switzerland travel cost down, such as: free admission to over 500 museums and discounts on a whole range of otherwise expensive special attractions in Switzerland like the Jungfraujoch . Current prices for the Swiss Travel Pass Flex are: 3 days – 267 Swiss Francs, 4 days – 323 Swiss Francs, 8 days – 514 Swiss Francs, and 8 days – 563 Swiss Francs. Another option to save on your Switzerland holiday is to buy your tickets ahead, especially long distance. The Swiss Rail website has discounted prices (called Super Saver), especially off-peak, which are way better the more in advance you go. However, you can benefit from them even on the day you travel. So, if you want to buy tickets as you go and still save – always check out the website. Traveling around Europe and in Switzerland by Train? Read our Eurail Global Pass Review, it might be a good option for you. Honestly, with such an awesome public transport system I rarely use either. Especially from the airport, where trains are a no-brainer. They go from right inside the airport and take you into town in minutes (in Zurich, and Geneva). Unless you are out late at night, when even the trains run on weekends, there is little to no reason to use this very expensive form of transport. However, if you do have the need, go for Uber over Taxis because in my experience it is almost always cheaper. Examples of fairs in Zurich would be: $15 for a short ride within Zurich downtown. $35 to the airport from downtown. Personally, I would not recommend hiring a car in Switzerland for a number of reasons. First, renting a car in Switzerland is expensive and will rarely compare to the cost of the Swiss Travel Pass. Exceptions might be where there are 4 adults, but for most of you, this is unlikely. If you want to investigate this as an option, I can recommend Holiday Auto as a good site that compiles offers from most car rental companies. It seems that two weeks from Zurich will cost you at least 500 francs. And then there is insurance, fuel, etc. Second, driving into cities in Switzerland, like most countries, is a right pain! Parking is difficult and expensive, with almost no street parking in most cities. Traffic can be crazy during peak times, and it’s super easy to get lost. When compared to the train, which arrives smack bang in the center of a town or city, it is a no-brainer to not drive. Bus is an option for long distances if you want to save on train fares, but it is not super-common in Switzerland. However, recently, a company called Flix Bus from Germany I believe have been shaking up the market with cheaper prices. 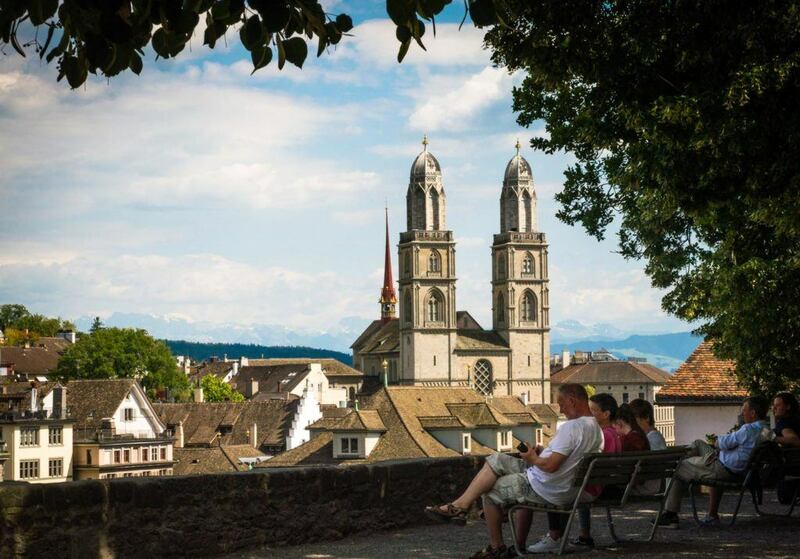 Give them a shot if you want to travel in Switzerland on a budget. Another option to cut your travel cost in Switzerland is to use ride-sharing apps sites like Bla Bla Car, which can be a very cheap way to move from city to city. It can cost as little as $20 from Zurich to Geneva (4 hours). This normally costs $80 or more. How much does accommodation cost in Switzerland? Yes, the high prices continue, Switzerland is expensive especially in accommodation. But there are some ways to save and make your money last longer. Looking for cheap places to stay in Switzerland? Booking a hotel that is outside of town, or at least a distance outside of downtown, is the way to go. And with the amazing public transport on offer here, it is not really a problem to catch a train or tram for 15 minutes to get into town. In some places, like Geneva, there is also the option of staying in another, cheaper city not too far away too. Lausanne is a great option, as is Montreux or Vevey. Here is a list of places to stay in Switzerland, from budget accommodation to luxury hotels. You pick the one that fits better on your travel plans and wallet. 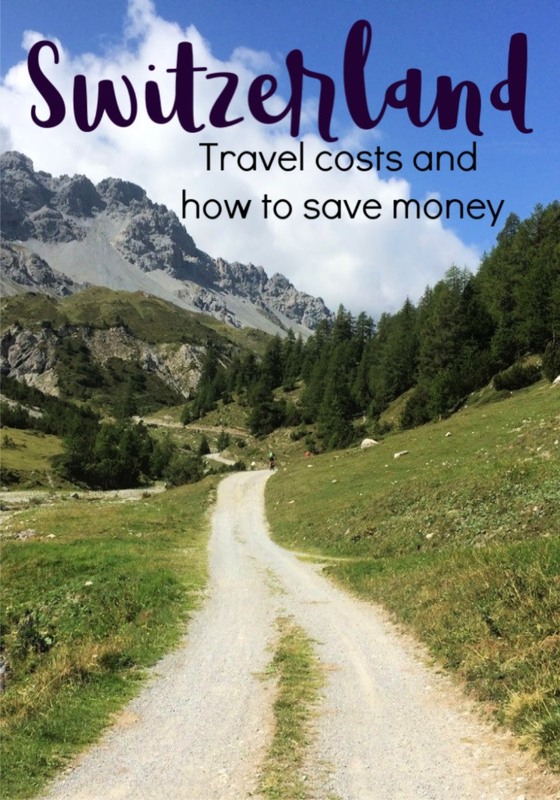 Need more tips to keep your Switzerland trip costs down? So think about sharing apartments and cooking for yourself, this is another great way to save. In general though, I would not expect to find something reasonable in a city under $150 a night. And from what I have seen in places like Geneva, accommodation cost can be even higher downtown. The average in places like Zurich tends to go even higher, like $200 or more, which is why you should take a peak on sites like Airbnb. People in Switzerland were a little late to the game, but now you can find some really affordable places on Airbnb. Even places that are in decent locations, close to downtown. I have seen some really nice studio apartments, one train stop from downtown for about 70 Swiss Francs a night. Which is very reasonable, especially for two people. 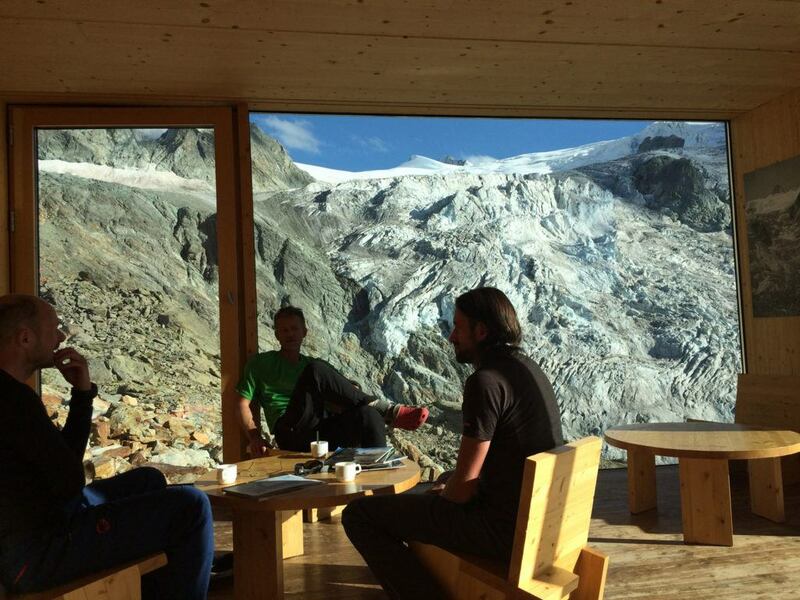 Find the perfect Airbnb in Switzerland here! And get USD 25 Off on your first booking! Of course, if you are really traveling in Switzerland on a budget, you will have to head to a hostel and share a room with other people. Even hostels in Switzerland are expensive, which is why Airbnb is such a great deal. Unless you are traveling solo. Then, you might want something even cheaper, or just meet other travelers who are in the area. From what I have seen around Switzerland, shared rooms in a dorm tend to cost between 30-45 Swiss Francs a night. They also tend to have some decent private rooms for about double that, so it’s also a budget accommodation option for couples as well. Of course, given you can find competitive rates on Airbnbs for under 100 Francs, I think you might often go for Airbnb instead. 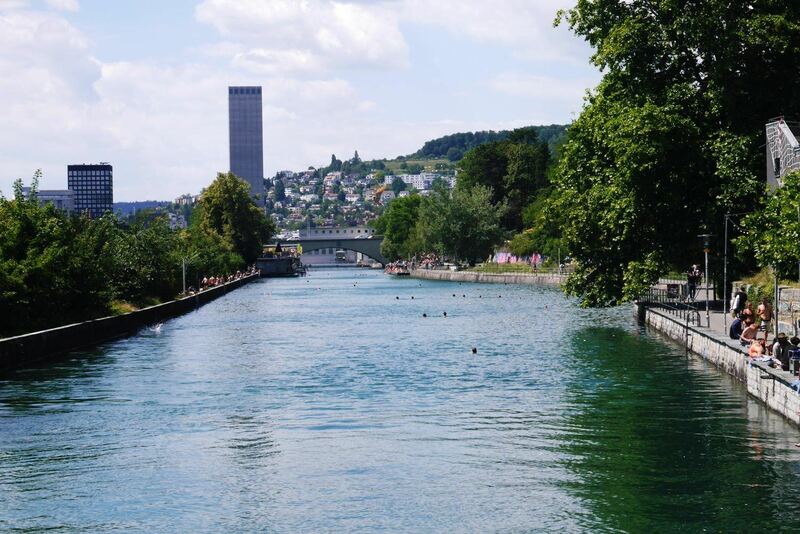 Here are some great Airbnb options I found in Zurich, which might come in handy. This is just a quick mention, but if you are a big hiker and like doing overnight hikes – Switzerland is paradise! There are huts everywhere, seriously. And they give you a bed and food. So take advantage of it. It costs about 80-90 Francs a night including dinner and breakfast, and the locations are stunning. Just look at that image above! How much is the cost of tourist attractions in Switzerland? The most expensive attractions in Switzerland usually involve mountains and adventure activities. Heading up the Jungfraujoch for instance, an absolute must do in my opinion, it can cost around 190 Swiss Francs. Bear in mind the Swiss Travel Pass can get you a decent discount on this, bringing the price down to about 133 Francs. Another trip I would recommend in Lucerne is the Pilatus Golden Round Trip. A stunning boat ride then a steep train to the top of Pilatus. A return via gondola is a great end to the trip. This costs approximately 103 Swiss Francs. Other simple gondola rides like First in Grindelwald (worth it for the view of the Eiger) can cost 60 Swiss Francs return. And something like a trip up to the Kleine Matterhorn in Zermatt, at a breathtaking 3883m, will also cost over 80 return. Whereas a quick jaunt up to the view from the Schwarzsee will only set you back 32 return. You can find some other great ideas here. Keep in mind that there are many free things to do in Switzerland, many of which are as stunning as those above. You can hike almost anywhere in the country and the mountains, for free. Including up to many of the views you pay dearly for via gondola. Of course, hiking to that altitude requires fitness, so is not for everyone. But you can do these rides one way (up) and then hike down. This saves you half the cost, making the price of traveling in Switzerland less scary. Swimming in the lakes around the country is also free unless you use one of the public baths, which is not mandatory. And then there are the historic city centers. You can spend days exploring these, without stepping into a museum, adding to your Switzerland travel cost only transportation, accommodation, and food bills. How much does nightlife cost in Switzerland? If you want to enjoy a little nightlife while in Switzerland the best thing to do is just head to the local bars. Keep in mind that the Swiss are not the most open to foreigners when compared to many of their southern neighbors. Having said that, a little alcohol loosens up most people. Beer can cost you almost the same as coke or water, so this is usually the best way to save on a night out in Switzerland. Especially on tap local beers – in the German part called a “stanger”, are the cheapest way to go, usually between 5-8 Francs. Another option is to buy cold beers from the local shop and drink them by the lake or river. The Swiss are very loose and open about alcohol, so there are no laws against it. If you prefer cocktails, like me, you will be in for a bit of a shock. They often cost anywhere between 10 and 20 Francs a pop, on the higher end in cities, and more classy bars. And wine is equally expensive, with the only cheap places I have found a glass being deep in some forgotten valleys of the South like Binntal. But I am sure you won’t be going there. In general though, it is around 7-12 francs a glass. If you want to keep your Switzerland trip costs under control, perhaps leave wine and cocktails to your next trip to Spain or Italy. Nightclubs are a little like London in many ways. Entry costs around 20 Francs and the clubs only tend to get going, or even open from 10 or 12pm. Is Switzerland expensive? Yes, it bound to be one of the more expensive destinations on your bucket list, but there are lots of ways to save costs. From using Bla Bla Car to get a ride between cities to staying in mountain huts instead of in the main tourist locations, you just have to be a little creative and flexible. Planning is also the key, remember to book your accommodation and buy your Swiss Pass in advance. Research about the places you want to visit and find free things to do in Switzerland. The costs to travel in Switzerland can vary a lot if you manage to save on attractions and entrance, find a good deal on Airbnb and cook for yourself. Another way to lower the cost to travel to Switzerland is to plan your holiday during the shoulder season. The cost of a trip to Switzerland during Summer or Autumn is way different from the Winter when it’s high season. A good example is the trip Love and Road did to Arosa in Summer (read all the tips here), such a great destination that becomes less crowded and cheaper when the temperatures are higher. But in the end, don’t forget it’s a vacation and you also have to enjoy yourself, so spend money on the things that are most important to you! Love these Switzerland travel cost tips? So Pin it for later!! Anna was born to travel the world having studied languages all her life. 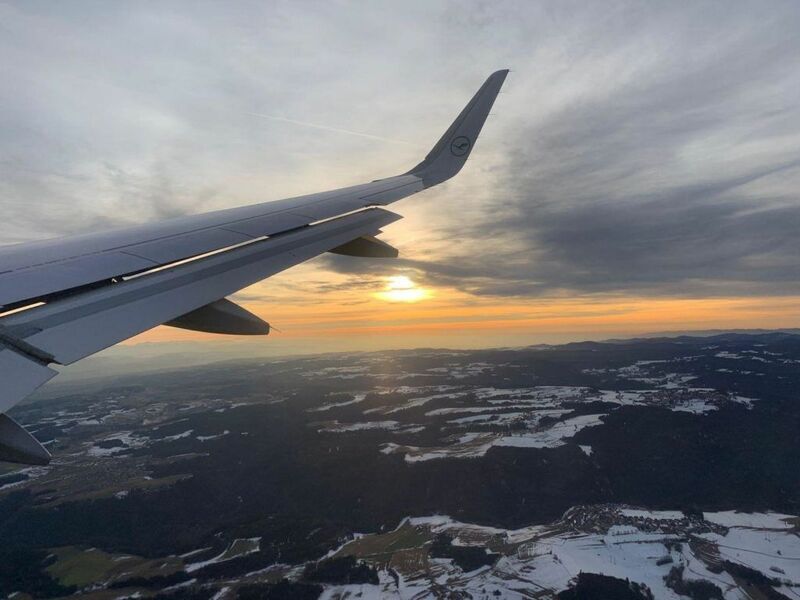 Although she has traveled the world, she now calls Switzerland home and spends her time writing about her experiences on her travel blog with her husband. Follow her adventure on Twitter and Pinterest. I once got a flight to Geneva from Newcastle for 30 GBP each way. What I wished I knew was how expensive the country would be once I got over there. I spent so much on so little. This post is really informative and giving me more confidence to return knowing I can travel cheaper. And now you know better, so next Swiss trip won’t cost that much. Handy information and timely too. Interestingly, the most affordable flight from Bangkok to the vicinity of Grenoble was to Geneva. Why not? So we decided to spend a day or two sightseeing there before heading to our final destination. It looks like the bus from Grenoble to Geneva is not overly expensive so we might come for an additional visit or two. Thank you very much for the tips and costs of Swiss travel. Cheers! We have been in Grenoble almost 10 years ago, I believe it’s time for us to go back.